There are some grapes and wines out there that there just isn't a lot of information on. Today's grape seems to be one of those. The Oxford Companion to Wine has a whopping three sentences about Piedirosso and there isn't much other information available online. Most of the information that I have is from Nicolas Belfrage's Brunello to Zibibbo: The Wines of Tuscany, Central and Southern Italy which is the second volume of his incredible two-volume publication on the wines of Italy. I like Belfrage's approach because he focuses a lot on the grapes of Italy while still keeping the geographical approach that is so necessary to understanding the Italian wine landscape. This two-volume set along with Bastianich and Lynch's Vino Italiano give the interested reader an excellent foothold in the world of Italian wines. So on to Piedirosso. Those of you with a bit of familiarity with the Italian language can suss out what the name of the grape means, but for the rest of you, it means "red feet." Regular readers may remember a post a few weeks back about a grape called Refosco dal Pedunculo Rosso which has a similar name. In both cases, the red feet refer to the stems which have a reddish color to them. Piedirosso is also known as Palombina or Per'e Palummo which means "little dove" and "dove's foot" in the local dialect because the stem is made of up of three branches that can resemble a bird's foot. Since Piedirosso and Refosco share the red-stemmed characteristic, it's natural to think they may be related in some way, but I can't seem to find any evidence to support that claim. Belfrage claims that both grapes belong to the Malbec family (his claim being tempered by an admission that it is through hearsay only) but again, I can't find any corroboration for that. The grape itself is purported to be of ancient origin and is thought to be the same as the Colombina mentioned by the Roman author Pliny. It reached the peak of its popularity towards the end of the 19th Century as it was very heavily replanted into the phylloxera ravaged vineyard areas of southern Italy. At its peak, Piedirosso was planted on about 10,000 hectares of land. In 1844, an Italian writer said that wines made from Piedirosso were not only the equal in finesse of those made from Aglianico grapes, but they were superior in terms of power. That opinion didn't hold, though, and as of 1990, there were only about 1,000 hectares of land devoted to its cultivation. Plantings seem to have increased over the past twenty years, but the grape is hardly in any danger of catching the world on fire anytime soon. Today it is used mostly as a blending grape in southern Italy, but there are a few producers who make 100% varietal wines. The wine that I was able to pick up was the 2008 Mustilli bottling from the Sannio DOC in Campania. I picked this bottle up at Federal Wine and Spirits for about $18. In the glass, the wine had a medium purple-ruby color. The nose was nicely aromatic with fresh blackberry, brambly wild berry fruit, chocolate, a touch of stewed blueberry and some cassis. On the palate, the wine was medium bodied with high acidity and low tannins. There were flavors of sour cherry and brambly berry fruit along with some blackcurrant, licorice and baking chocolate with just a touch of funk. There was a very nice balance here between the fruit flavors and the earthy chocolate and licorice notes. The acidity is definitely up there with this wine, making it a very nice, versatile wine to have with food. These high-acid, soft tannin red wines from Italy always make me think about tomato sauce and that seems as good a pairing as any. I'm definitely a sucker for these high-acid reds with wild, almost savage fruit in them and this wine was definitely right up my alley. Today's wine is something I picked up on my recent trip to the Finger Lakes because it was something that I had never seen before. It's a wine made from seedless table grapes. Essentially, what was in this bottle is very similar to what you'd get it you went down to your local grocery store, bought a bunch of seedless grapes and tried to make wine from them at home (though nearly all grapes that you get at the store are Thompson Seedless grapes, also known as Sultana, which do find their way into some California wines, but are limited almost exclusively to jug wine/bulk wine production). Someone may already be asking the question "well, those grapes aren't very expensive, why don't I just go ahead and give that a shot?" The short answer is: seedless table grapes tend to make lousy wine. The long answer is essentially the same, but with much more detail. If you've read the site more than once, you'll know that I don't like short answers, so buckle up, because here we go. First we need to consider where seedless grapes come from and why they are the way they are. Seedless fruit is not a naturally occurring phenomenon since, for a plant, the seed inside the fruit is the natural way for the plant to propogate itself. Seedless fruit is typically bred by humans as a convenience for consumers. Many people aren't very comfortable with the process of spitting things out and for fruit like watermelon or grapes, there isn't really any clean, comfortable way to eat around the seeds. Further, if you offer people the choice between food that is messy and a lot of work to eat or fruit that is easy to just pop in your mouth, they'll choose the path of least resistance almost every time. Grapes have a kind of double whammy of trouble, though. Not only are the seeds inedible and an inconvenience to eat around, but the skins are also very thick and often inedible, so the grape must be eaten either by popping the pulp out of the skins directly into the mouth (and then spitting out the seeds) or by eating the whole grape and spitting the skin and seeds out together. Finicky eaters are not fond of either option and when you add to all that the fact that many grapes have high levels of tannins in their skins (and seeds) which are very bitter and can cause an astringent sensation in the mouth, well, you're starting to see the many different reasons some people may have for deciding not to eat grapes at all. Enter the seedless grape. Picture it like an over the top infomercial. The pitchman comes on the screen holding a grape in his hand: "Do you love grapes but hate the hassle of eating them? The seeds are always getting stuck in your teeth and you've got nowhere to put them when you're eating them on the couch! Then there's those pesky, tough skins that you can't spit out in mixed company but which you can't eat either. And don't get me started on that sand-papery feeling they leave inside your mouth. Well, have I got the product for you. It's a grape with much thinner skins that you can bite through and eat without any messing spitting. But wait, there's more! This grape also lacks those tiny annoying seeds! You get it all in this super-convenient package! Grab a bunch and eat them on your way into work without worry! Or dry them out and make amazing, convenient raisins! Never deal with the hassle of grape detritus every again with the new seedless grape!" And so on, etc. But Mr. Pitchman, we may ask, if these grapes are so amazing then why aren't more wines made from them? And why is it that the wines that are made from them aren't very exciting? There are a few answers. First of all, the skins on the seedless grapes are so thin that they don't impart much flavor to the wine. This isn't a big deal in white wine making where there is minimal skin contact anyway, but it's a huge deal-breaker for red wine production. The main reason, though, is that the grapes themselves just don't taste like very much. There are a number of possible reasons for this. First of all, it may just be that the bland flavor of seedless grapes is what appeals to the largest cross-section of consumers and is thus what sells the best. It's also likely that whatever flavors the grapes may have is diluted due to the fact that they are designed and employed to produce massive amounts of grapes per vine. Take another look at that Himrod cluster at the top of the page. The clusters are enormous and the goal of the grower is always to get as many of those clusters as possible from the vines since tonnage is all that matters. Deep, explosive flavors are irrelevant in table grape production. You just want as many bunches as possible. All of which brings us to the two grapes that this particular wine is made from. The first is Himrod, which was developed and then released in 1952 by the New York Agricultural Experiment Station in Geneva, New York, which is located at the northern tip of Seneca Lake. The second grape is Lakemont, which was released in 1972 from the same institution. 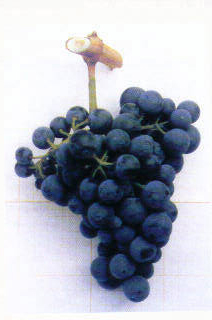 Both grapes are hybrids and are siblings of one another, which means that the parentage for each is identical (there are two other grapes that are the result of this same parentage: Interlaken and Romulus). In all cases, the two parents are Ontario, itself a crossing (or possibly a hybrid as I'm not sure about the exact species designation of the two parents) between Winchell and Diamond, and Thompson Seedless, which I did not realize was actually a vinifera grape until today (it is native to either Turkey, Greece or Iran). All four of the sibling grapes are named for towns in the Finger Lakes region. The wine that I bought was from Fulkerson Winery on Seneca Lake. The wine is named "Matinee" and is made up of Himrod and Lakemont grapes in some unknown proportion. The bottle cost $14 at the winery. In the glass, the wine had a pale, silvery lemon color. The nose was moderately open with aromas of mint and green melon. The mint is startlingly prominent here as my note indicates that the aroma is "like toothpaste." On the palate, the wine had a light-medium body with medium acidity and was definitely sweet. There were flavors of tangerine and mandarin orange along with mint, candy apple and candied lime citrus. It definitely had a bit more complexity than I was expecting, but let's be honest, this isn't a "serious" wine by any stretch of the imagination. That doesn't make it a bad wine, though. Wines like this have their place and don't necessarily deserve to be looked down on just because they're sweet and unabashedly unpretentious. There are times in my life when I want crème brûlée for dessert and there are other times when I just want gummy bears. This is a gummy bear wine for those days when you want something sweet and a little fun and don't want to spend a lot of time thinking about what's in your glass. It's respectable for what it is and while it's not a style I reach for often, it's out there for those who want to seek it out. Today marks Fringe Wine's first foray into the wild and wonderful Valle d'Aosta, the smallest region of Italy. What the region lacks in size it more than makes up for in its wide array of native grape varietals, though. While you may see familiar northern Italian names like Nebbiolo and Dolcetto or familiar French names like Gamay and Pinot Noir on the lists of approved varietals for DOC level wines, you're much more likely to see things like Premetta, Cornalin, Prié Blanc, Fumin, or today's grape, Petit Rouge, just to name a few. The Institut Agricole Régional, a local agricultural school (who also makes wine), has identified thirteen indigenous varieties in the Valle d'Aosta. The region is positively tantalizing for me and should, in theory, provide me with a ton of material to write about on a regular basis except for one thing: the wines from the Valle d'Aosta are really hard to find. Out of the 20 regions of Italy, the Valle d'Aosta ranks dead last both in vineyard area and total production (though they are seventh in percentage of of DOC wines as about 26% of all production in the region is at the DOC level). As of 2000, the region had just over 500 hectares of land under vine and produced about 27,000 hectoliters of wine, which is enough to make about 300,000 cases of wine. By contrast, Piemonte, one region over to the east, produces nearly 3 million hectoliters of wine, and that amount is only good for seventh highest in Italy (first place belongs to the Veneto with a whopping 8.8 million hectoliters produced). E&J Gallo, the largest wine company in the USA, has an annual sales total of 76 million cases, meaning that this single company sells more than 250 times more wine than is produced in all of the Valle d'Aosta each year. The point being, very little wine is produced here. To compound matters, the region is a tourist hotspot, as it is located in the Alps on the border with France and Switzerland. Lots of tourists means lots of demand for local wine so very little of the already miniscule country makes it out of the Valle d'Aosta even to other regions of Italy, much less to places farther afield than that. While it's certainly not easy to track some of these wines down, it's by no means impossible and I've managed over the past year to stockpile quite a few interesting bottles from this region which I hope to be able to write about over the next few months. The first grape I want to consider is the most planted native red grape in the region, Petit Rouge. Somewhat surprisingly given its high altitude, almost 90% of production in the Valle d'Aosta is red wine and Petit Rouge plays a fairly large role in red wines throughout the region. The grape is thought to be native to the Valle d'Aosta, though it also may or may not be the same grape as Rouge de Valais in Switzerland, which is probably not a big deal to most people as you're not likely to trip over many Rouge de Valais wines in your lifetime. 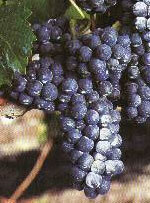 The variety ripens fairly late and the berries can have a dusty, gray appearance on the vine. The bottle that I picked up is from a sub-zone within the Valle d'Aosta called Enfer d'Arvier which is apparently a whopping 5 hectares in total. The winegrowing areas of the Valle d'Aosta are in the valley of the Dora Baltea river as it flows down through the Alps and into the Po River. The town of Arvier is on the western end of the valley and apparently it can get pretty warm there as the name Enfer d'Arvier suggests (it means literally "Hell of Arvier). The DOC regulations for this area dictate a minimum of 85% Petit Rouge, but this particular wine clocks in at 100%. The producer is Danilo Thomain who farms about one hectare of land in this region and is the only independent producer in the area (everything else is vinified and bottled by co-ops). His total production is a miniscule 2400 bottles per year. I was able to find the 2008 bottling of his Enfer d'Arvier for $35 from my friends at the Wine Bottega. In the glass, this wine had medium saturation and was a nice ruby color. The nose was very aromatic with plummy fruit, wet leather, and stewed berries with a bit of sweaty funk to it. On the palate, the wine was medium bodied with no tannins but surprisingly high acidity. This grape typically isn't very acidic when fully ripe, but given the relatively light color (the grape can be very dark and is frequently used in blends to deepen the color of the finished wine), it may have been picked early enough to keep some of that acidity around. There were tart red cherry and wild raspberry fruit flavors with a bit of bitter funkiness on the end. It may have had just a touch of residual effervescence to it...I wasn't able to make up my mind for sure one way or the other. It definitely had a kind of prickly sensation in the mouth that made me think there may be a little CO2 running loose in there. Overall, it was a nice, tart and zingy red wine with bright juicy berry fruit and a touch of red plum. On day two it started to pick up some grape soda flavors, odd enough. This was a very cool, very different kind of wine. If you have a zero tolerance policy on funk in wine, this won't do it for you, but I thought that it was mild enough and well-integrated enough to add something interesting rather than completely taking over. The acid here makes it great for a wide variety of foods and the wine itself is light enough that it won't dominate more delicate meat dishes. If you can find a bottle of this, it's definitely worth your time, especially since you might not get another chance to try it given the production numbers. 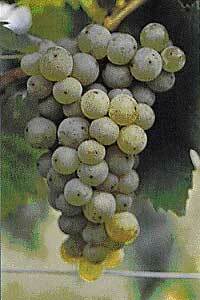 Ribolla Gialla has many different homes but can still be difficult to locate. I was somehow able to find three different bottles of Ribolla, all of which were from three different countries. Oddly enough, those were the only three bottles of Ribolla I was able to find. It's very rare for me to find an unusual grape variety with that kind of limited availability but with that kind of geographical distribution. That's how it worked out, though, and now that I've pulled the cork on all three bottles, I'm here to tell you what I know about the grape. It is thought that Ribolla Gialla (so called to differentiate it from Ribolla Verde, an inferior mutation of the grape) originally came from Greece and arrived in northeastern Italy by way of Slovenia. It's not a coincidence then that the three bottles I was able to find were from Greece, Italy and Slovenia. Today it is most well established in the Friuli-Venezia region of northeastern Italy and the recorded history of the grape really begins at some point after its introduction to this region. In 1289 the grape is mentioned for the first time in a vineyard land contract and in 1402, the city of Udine passed a law making it illegal to adulterate wine made from the Ribolla grape. In the 14th Century, the grape makes its literary debut as Giovanni Boccaccio lists indulgence of Ribolla wines as a sin of gluttony in one of his works, and, several centuries later, Italian writer Antonio Musnig lists Ribolla as the finest wine made in Friuli. Life was good for the grape up until the 19th Century when phylloxera hit. Like so many regions across Europe, Friuli-Venezia was hit hard by phylloxera and the vineyards were decimated by the louse. And as in so many other regions, after phylloxera was contained, when the locals decided to replant their vineyards, many of them opted to plant grapes other than the ones that had such historical success in the region. Friuli in particular looked to France for their grape varieties and much of the land was replanted to Merlot, Sauvignon Blanc and Pinot Gris (subsequently Italianized to Pinot Grigio). By the 1990's, fewer than one percent of DOC level wines in Friuli contained any Ribolla at all. The grape has rebounded somewhat in the past decade or so, though it still is not widely planted. 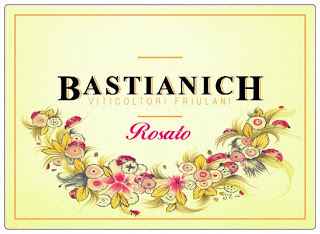 Bastianich and Lynch lump the grape in the "others" section of the "Key Grapes" part of their profile of Friuli in Vino Italiano. In Slovenia, where it is known as Rebula, the grape is limited mostly to the Goriška Brda region of Primorska which is essentially the eastern extension of the Collio region of Italy into Slovenian land. In Greece, where the grape is called Robola, it is grown almost exclusively on the island of Cephalonia off the western coast of the country. Interestingly, most resources on Greek wine don't indicate that their Robola is the same as Italy's Ribolla, though they are almost certainly one and the same. After doing a little more research on Greek Robola, it turns out that the case may be much less clear than Jancis Robinson & Co. indicate in The Oxford Companion to Wine. 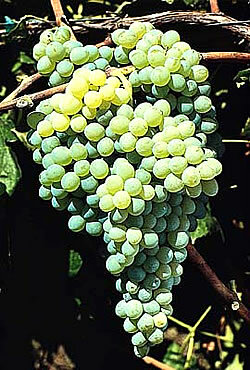 In his excellent book The Wines of Greece, Konstantinos Lazarakis mentions that Robola may be a catch-all term for many different white grapes that aren't necessarily related to one another, in much the same way as Vernacchia is used in Italy to represent a host of different grapes in different regions. One genetic study in California found that the Robola they tested was genetically identical to a grape called Thiako. A similar study in Athens found that the Robola they tested was actually the Goustolidi grape, which is completely different from and totally unrelated to the Thiaka grape. 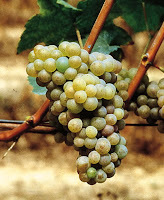 Further, there are distinctive amepelographical differences between Ribolla Gialla and the Robola found in Greek vineyards that would indicate that they are two (or three or four) different grapes. Without any definitive DNA testing, it's hard to say at this point, but hopefully future research will clarify the issue. As mentioned at the very top, I picked up three wines for this post, but only two were really worth remarking on. The third was a 2000 Movia Ribolla from Slovenia. The color gave this wine away really before I even tried to taste it. It was a deep amber gold which you can see in the photo at right. I don't usually take pictures of the wine in the glass, but this color was so remarkable I felt I should try to show it. The nose was totally shot as well with a little nutty aroma and some butterscotch but mostly it was just a total blank. I drank a few glasses of it anyway because I paid $25 for the bottle and figured I'd give it a shot. The fruit was completely gone and there was just a hint of nuttiness left here. If you were in an especially charitable mood, I guess you could describe it as minerally but in reality it was just an old bottle that should have been pulled from the shelf years ago. The next wine that I tried was a 2009 Volpe Passini Ribolla Gialla from the Delle Venezie IGT which I picked up for about $18. In the glass, the wine had a medium lemon color and a shy nose. There was a little bit of peachy fruit, but this was another total blank. I was starting to wonder at this point if the other wine was really shot or if this grape just didn't have much character. On the palate the wine was on the lighter side of medium with fairly high acidity. Again, the palate was pretty flavor neutral with some lemony notes and citrus peel flavors and a little bit of nuttiness that reminded me of hazelnuts. The wine had a nice, clean minerally finish to it. All in all, I can't say that this wine really appealed to me that much. There was definitely a clear difference between this wine and the one that was obviously over the hill, but they were actually closer to one another than I would have liked to see. "Mostly neutral" is my sum-up note and I guess I'll stick with that. Never one to give up on a grape before giving it every chance to win me over, the next wine that I tried was a 2009 Gentilini Robola from Cephalonia, Greece, which I picked up from my friends at the Wine Bottega for about $20. In the glass, the wine was a pale silvery lemon color with some green tints to it. The nose was fairly open with grapefruit and lemon peel aromas with a whiff of stone fruit lurking the backgroun. On the palate, the wine was medium bodied with fairly high acidity. There was a lot of nice lemon-lime fruit with some citrus peel and a clean finish. This wasn't terrifically complicated, but it did what it did very nicely. The light lemony fruit was really carried by the snappy acidity and the minerally backbone. Of the three wines that I tried, this was the hands-down winner and was the only one of the three that I would consider buying again. This strikes me as a seafood kind of wine that wouldn't be too out of place with white-meat chicken dishes as well. It's subtle and acidic enough to also make a very nice aperitif or a wine to just enjoy on a hot day. If I only gave you two out of the three pertinent pieces of information about today's wine, you would rightfully be wondering what on earth I was doing writing about it. If I told you, for instance, that today I was writing about a wine made from the Cabernet Franc grape from the Chinon region of the Loire Valley, you might think that I had finally abandoned the conceit of this website and decided to just write about any old thing that ended up in my glass. Well, I haven't, and today's wine, while made from a very well known grape in a very well known region, is one of the more unusual wines I've ever tried. It's a white wine made from the red Cabernet Franc grape. How is that possible? Well, for those of you unfamiliar with grape physiology, the fleshy pulp in the middle of a grape is almost always white and, when pressed, will give white juice. To make a red wine, you need for the juice to be in contact with the skins of the grape for an extended period of time so that the pigments in the skins can be leeched out into the juice. There are a few grapes that have red pulp in the middle, but they're fairly rare. They're called teinturier grapes and there are only a few species that are used to make wines (Alicante Bouschet is probably the most common and Saperavi is the only one that we've covered on this blog). So to make a white wine from red grapes, all you really need to do is press the grapes gently and do everything possible to minimize the amount of time that the juice spends in contact with the skins. This is common practice in many areas where sparkling wine is made as two of the three most common sparkling wine grapes are actually red grapes (Pinot Noir and Pinot Meunier). But in still wine production, it's a very rare thing indeed. The only other examples I have ever seen have been German Pinot Noir wines that were made into white wines (I hope to be able to write about a few of those in the future). There are probably a lot of reasons that we don't typically see white wines made from red grapes. Red wines, as a general rule, tend to command higher prices than white wines, so it makes more sense for people with red grapes to go ahead and make red wines. The skins of red wines are also loaded with compounds that add a great deal of complexity to a finished wine and many winemakers are probably very uncomfortable with throwing away anything that can add character and complexity to their wines. Finally, there are white skinned grapes that make white wines, so why would you bother to try and do the same kind of thing with a grape with a red skin? For winemakers in sparkling wine regions and for those making white wines from Pinot Noir in Germany, the reason is probably because their climate is so cool that they have a very hard time getting those dark-skinned grapes to ripen fully. Under-ripe red grapes tend to have weedy, vegetal flavors and tough, unpleasant tannins that become more pronounced if the juice spends a lot of time in contact with the skins. These growers get around that by just jettisoning the skins and making wine from the white juice that is pressed out. Which is all well and good for those growers, but why would someone want to do that with a grape like Cabernet Franc in an area like Chinon in the Loire Valley where the grape usually thrives? To be honest, I don't have a clue. It could be that they made a selection of grapes that weren't ripe enough to make it into one of their red cuveés and decided to make a white wine from those as an experiment. The most likely explanation is that they just decided they wanted to try it and went for it. It's hard to say, especially because the wine itself isn't listed on the producer's website at all. All I can say for sure is that someone decided to give it a shot and I was able to taste the results. The producer in question is Couly-Dutheil, a well-established estate in the Chinon region of the Loire Valley. The bottle itself is technically a non-vintage bottling and technically we aren't supposed to know what grape it was made from. The AOC laws do not recognize white wines made from Cabernet Franc grapes in this region, so the only category available for this to be bottled as was vin de table which, by law, is prohibited from mentioning any regions, grapes, or vintages. Proprietary names are allowed on the bottle, though, so the house decided to call this "Blanc de Franc," which is technically still legal since it doesn't mention the full name of the grape on the label though it gives us a huge clue as to what's inside the bottle. As for the region, since we know where the producer is located, it's easy for us to fill that blank in as well. The vintage is usually indicated in some kind of code somewhere on the bottle, but I didn't spend a lot of time searching for it. Other online sources that have reviewed this wine all seem to have a 2008 bottling, so there's a good chance that this is from that vintage as well. I've read on a few of those that only about 25 cases of this wine made it into the US, so good luck trying to find a bottle for yourself. The bottle I picked up cost $29 from Cardullo's in Harvard Square. In the glass, the wine was a pale, silvery lemon color. The nose was very aromatic and puzzling. It had aromas of raspberries and peaches with some ripe apple and something like pie dough mixed in. It's a disconcerting feeling to look at a glass of white wine and smell red fruits in it, but that's what was happening here. On the palate the wine was medium bodied with medium acidity. There was light raspberry and apple fruit with a biscuitty, pastry dough kind of character to it. If you had blindfolded me and had me try this wine, I probably would have sworn it was a rosé or a very light bodied red wine. It was probably more interesting than it was good, but it was still a very cool wine to try. Last fall, I was enrolled in a wine certification program at Boston University and I remember well showing up for class the first day and being handed my study guide in a bright red BU binder. I'm pathologically early to almost any event that has a timed start, so I had a pretty good amount of time to peruse the binder while waiting for the class to begin. Right in the front was a practice exam which had as a question something like "Which of the following grapes is native to the Friuli-Venezia Giulia region." I remember looking at that question and looking over the answers, none of which I had ever heard of before, and having a sinking feeling in my stomach. I was certainly interested in Italian wines at the time, but my knowledge extended only through Barolo, Chianti, Valpolicella and Prosecco at the time. Every aspect of the question baffled me and for a few moments, I felt like I was in way over my head. Since then, as you may have noticed if you've looked around the site a bit, I've learned an awful lot about wine in general, but Italian wine in particular. What I've loved throughout this whole process, though, is that no matter how much you know (or think you know), there are still oceans of information out there waiting for you to explore. Wine is a massive subject and if you ever feel as though you've exhausted it entirely, well, you're doing it wrong, I think. To get back to the study question, the answer, as you may have guessed, was Refosco. I flipped to the section on Italy to see what I could find out about this grape I'd never heard of, but the information there was essentially limited to the fact that Refosco is indeed grown in Friuli. I'd been in my fair share of wine shops at that point and marveled that I'd never seen a bottle of wine made from that grape and wondered why that might be. Over time, I realized that several of my usual haunts did actually have wines made from Refosco, but unless you're on a specific mission for something like that, it's very easy to miss, as most shops, if they carry it at all, rarely have more than one bottle on the shelves. In the course of taking that class and finding out about the wide variety of grapes that are actually out there, the germ of an idea started to sprout and its realization is on these pages (if you're wondering, I ended up passing the class with distinction). Well, that's certainly enough navel-gazing for now. 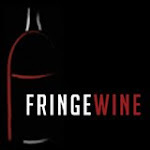 There will be much more of that kind of stuff on Fringe Wine's first birthday in September. 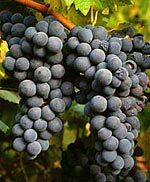 For today, though, we're considering Refosco, a red grape with a very long history in northeastern Italy. There's a theory that Refosco formed the base of the legendary Roman wine, Puccinum, which was the favorite wine of Augustus' wife Livia. Other scholars, though, believe that Puccinum was actually made from Prosecco, though some of the reasoning seems a little sexist (according to Wikipedia, which is not always the most reliable source, one scholar believes that since Refosco is bitter, Livia, being a woman, could not possibly like and must have liked a sweeter wine made from Prosecco). Not being a scholar of the era, I'll withhold judgement on the matter. Whatever the case happens to be, the first explicit written reference to Refosco dates to 1390 when it is mentioned that the wine is given as a gift by Roman Ambassadors. 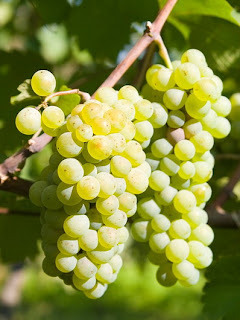 The grape is thought to be native to the Friuli region, though it is grown to some extent in a few other regions of northern Italy and in Slovenia and Croatia. For many years, it was thought that Refosco was the same grape as Mondeuse Noire, grown in southeastern France, but recent DNA testing has shown that the two grapes are actually not related at all. The grape is related to Marzemino, but it's a little unclear to me precisely what the relationship is. The Oxford Companion to Wine states that there is a parent-offspring relationship between the two grapes without specifying which grape is parent and which offspring. The Wikipedia page for Refosco says Marzemino is the parent, while the page for Refosco dal Peduncolo Rosso states that Marzemino is the offspring. Both pages cite the same OCW entry to back their claim and I can't seem to find the original article, so in the meantime, I'll just leave the uncertainty hanging and say that they have a parent-offspring relationship but I don't know which is which. It turns out that Marzemino is the parent to Refosco. Check out my Marzemino post for more info. I should take a moment here to note that as is the case for many Italian grape varieties, there is not just one Refosco. The name Refosco is used to denote a family of grapes which are all very closely related genetically and which share many ampelographical characteristics. I'll be honest, I'm not totally sure whether the different Refoscos are related by virtue of the fact that they all represent clonal mutations (like the way that the different Pinot Noirs are related) or whether they're distinct grape varieties that are closely related by virtue of having the same kind of parentage (like how all the different Muscats are related). The terminology gets kind of tricky and people aren't always consistent in the way that they talk about these things. Sub-variety and clone are both thrown about with equal frequency and some writers claim there's a difference while others use the terms interchangeably. Whatever the case is, the general consensus is that of all the different Refoscos, Refosco dal Peduncolo Rosso is the one that makes the best wine. The name means "Refosco with the red stem" because, as you may have guessed, the stems for this particular sub-variety or clone or whatever happens to have red stems. I was able to pick up a bottle of the 2006 Cantarutti Refosco dal Peduncolo Rosso from the Colli Orientali del Friuli DOC for about $18. In the glass, the wine had a medium ruby color and was nicely aromatic with blackberry, dark cherry and wild blueberry aromas. There was a wild, brambly red fruit quality to the nose as well. On the palate, the wine was on the fuller side of medium with fairly high acidity and firm tannins. There were flavors of wild blackberry, wild blueberry and black cherry fruit with an undertone of earthy, bitter baking chocolate. According to Lynch and Bastianich in their Vino Italiano, styles for Refosco can be all over the place from juicy, grapey Beaujolais-like wines to firmer, more solid examples like this, so buying a Refosco can be a bit of gamble. I would guess that it's probably a bigger concern in the area itself, as I would imagine that most of the wines that are imported into the US represent the firmer, more extracted and serious-minded approach to the wine, but I don't have any data to back that up. I enjoyed this wine quite a bit but the firm tannins and high, almost tart acidity really call out for food. Think red meats and tomato sauces for something like this. 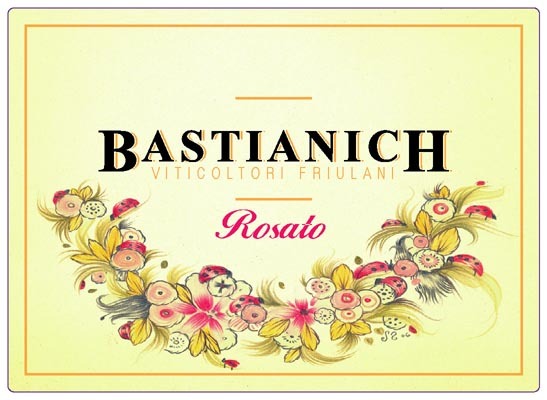 I was also able to pick up a bottle of the 2010 Bastianich rosato bottling of Refosco which is bottled under the Venezia Giulia IGT. The wine cost about $15. I'm assuming that since the grape is listed just as "Refosco" that this is made from one or several of the lesser sub-varieties, which makes sense as they'd probably want to use the higher quality Peduncolo Rosso grapes for red table wines. In the glass, the wine was a medium salmon pink color with a few orange tints to it. The nose was fairly closed with a bit of strawberry and red cherry fruit, but not much. On the palate the wine was surprisingly on the fuller side of medium with medium acidity. It had a very oily mouthfeel and was oddly and disconcertingly viscous in the mouth. There were nice flavors of fresh watermelon and strawberry fruit with a bit of pink bubblegum and bitter herb on the finish. The flavors here were all very nice, but the texture was very off-putting for me. It fared a little better with some food, but I often drink pink wines on their own just to relax and this is a wine that I don't really recommend for that purpose. It probably has its uses at the table (I believe all wines do), but I'll probably stick other grapes for my pink wine fix in the future. A few months back, I purchased and drank a wine made from a significant percentage of the grape Rufete, but I've been sitting on my tasting note without writing about the grape for a few reasons. First of all, the wine that I tried was a blend with 60% Rufete and 40% Tempranillo and, whenever possible, if I'm writing about an individual grape, I like to use the US varietal labeling law as my guideline: if a wine contains 75% of a given varietal, then the bottle can be labeled with just that varietal name. In other words, the US government feels that if a bottle has 75% juice from a single grape, then that grape commands enough of a presence within the wine that the bottle can carry only that grape's name and that this presentation is not in any way misleading to the consumer. Now, that's plenty controversial and I understand that, but I had to make a decision for this site on what the limit would be and I chose that standard. I'll confess that I didn't do it out of a conviction that 75% is sufficiently high enough to disregard the other 25%. I did it because it gave me the most leeway in allowing me to write about individual grapes. The second reason is that the wine that I tried was a rosé. If I'm writing about a grape I've never had before, I try as hard as I can to find a "classic" example of a wine made from that grape. Generally I'm looking for a still, full red or full white dry table wine so I can try to get a sense for what the grape is all about. Of course, the "classic" style for some grapes differs from that formula (like Brachetto d'Acqui, whose classic style is sweet and a little fizzy), but as a general rule, that's what I'm after. Try as I might, I was unable to find another wine made primarily from (or even partially from) Rufete, so the rosé is all I've got. The third reason I kept putting off writing about this grape is that there just isn't a lot of information out there about it. Wikipedia only mentions Rufete in passing in an article about Port wine grapes (Rufete is considered to be merely "good" for Port production, apparently). The Oxford Companion to Wine has a little more information, but not much. From there we get the information that Rufete used to be known as Tinta Pinheira, and that it is grown in northern Portugal (5500 hectares under vine) and western Spain (686 hectares) where the grape is used to make light, fruity wines. Ryan Opaz over at Catavino helps to round out a profile of the grape by telling us that the grape is prone to oxidation if not carefully handled in the vineyard and winery. Further, while the tendency is for winemakers to make a lighter style wine from the grape, it is capable of producing denser, more structured wines if handled properly. The winery itself also has some information on the grape on their website, though it's a little tough to parse in places. So with all of those things in mind, I still bought the wine and drank it and wrote my notes. Understand that I'm going into my review with the full knowledge that this wine is not a perfect exemplar for the Rufete grape, but it's all I could find. At the end of the day, there's not any valid judgement I can pass except on the wine itself (for the record, this is the general attitude I adopt for nearly every wine I write about and drink though there are exceptions). The Rufete that I was able to pick up was the 2010 Bodegas Valdeáguila "Viña Salamanca" rosé that, as mentioned previously, is a blend of 60% Rufete and 40% Tempranillo. I picked this wine up at a local shop for about $13. It's a "Vino de la Tierra," which is roughly equivalent to the French Vin de Pays or the Italian IGT classification level. The winery is located in the city of Salamanca, Spain, which is about halfway between the Portuguese border and the city of Madrid in Western Spain. In the glass, this wine had a deep, rosy red color. The nose carried nice mouthwatering aromas of maraschino cherries and red berry fruit. On the palate, the wine was medium bodied with medium acidity. There were candied red fruit flavors with some maraschino cherry and strawberry licorice with a touch of spice. The wine was completely dry, but the fruit had a candied quality to it that made it very easy to drink. This isn't one of those lean, minerally rosé wines that make excellent aperitifs. It's heavy on the fruit and drinks more like a light red. It's certainly not a profound wine, but it's plenty enjoyable and was good company on a hot summer day. I'm still on the hunt for a red wine made from Rufete so if anyone in the Boston area has a hot lead, please let me know about it. **UPDATE** I was recently able to try a 100% Rufete rosado from this same producer and my tasting note for that wine can be found in this post. Here's a question for you. What country ranks fourth in the world in vineyard acreage and sixth in the world in grape growing? If you guessed Turkey, well, no prize for you since this post is pretty obviously about a Turkish wine. Still, those figures should be pretty startling to most wine drinkers as Turkish wine is not exactly a hot commodity on the shelves of wine shops. How can that be, one might ask, if Turkey has so much land devoted to the cultivation of the vine? It seems a perplexing question to the vino-centric as we can easily forget that grapes are not always grown exclusively for the production of wine. Yes, you can also eat grapes and many places grow them solely for use at the table or for raisins. In many places, edible grape production is the norm because wine grapes are not well suited to the region's climate. This is especially true in the US where many native Vitis Labrusca grapes (such as Concord) are planted in regions that are inhospitable to the more delicate constitutions of many of the Vitis Vinifera grapes. This isn't the case in Turkey, though. Viticulture and wine making can be traced back some 6,000 years in Turkey in the area around Mount Ararat. There are climactic zones in Turkey that are ideal for wine production and the vine seems to flourish in these areas. There are an estimated 600 - 1,200 varieties of Vitis Vinifera grapes that are indigenous to these areas, though only about 60 of them have any kind of commercial relevance. If the country has the climate, land and native varieties for a thriving wine industry, then why hasn't one taken off? In a word, culture. I'm not exactly an expert on Turkish history, but the following is what I've been able to glean through a little research. The important parts for our purposes really begin with the rise of the Ottoman Empire. In 1453 AD, the Ottomans captured Constantinople initiating the beginnings of the Ottoman Empire. The Ottomans were Muslim and there was no real separation between church and state under Ottoman rule. If something was prohibited by their religion, then it was also illegal. I don't know if the production of alcohol was forbidden in the Ottoman Empire, but since consumption was prohibited, there wasn't much of a market for any alcohol produced anyway. Grapes were still grown in the area, but they were grown as a food product and not for wine production. The native grapes that are currently used in Turkish wine production are those that survived due to their suitability as table grapes (some of the international varieties are grown in Turkey as well, but those are more recent imports). The Ottoman Empire ended up on the losing side in World War I and was essentially dissolved in its aftermath. The Allied armies occupied Constantinople and Smyrna in the wake of WWI, which didn't exactly sit well with the locals. A nationalist movement sprung up and in 1922, the occupying armies were kicked out of the country and the modern nation of Turkey began to take shape. A new secular government was created that was more tolerant and which allows for freedom of religion for its citizens. As a result, the door was technically opened for production of alcohol and the country's first commercial winery was established in 1925. In reality, 98-99% of the country's current population is Muslim and there just isn't much of a market within the country for alcoholic products (the per capita consumption of wine in Turkey is under a bottle per year). Still, wine making in Turkey is starting to come on strong as modern techniques are gaining wider acceptance and many producers are starting to figure out what kinds of wines they can make from their wealth of indigenous grapes. One of those grapes is Öküzgözü, which is just a pain in the neck to type. Öküzgözü is native to the Elaziğ province of Turkey, which is located in the eastern third of the country, right around the middle. The climate here is usually pretty harsh but near the source of the Euphrates river, the climate is moderated somewhat by the river and by the Taurus mountains. The name means "ox-eye," which probably has some significance, but I'm not sure what it might be. 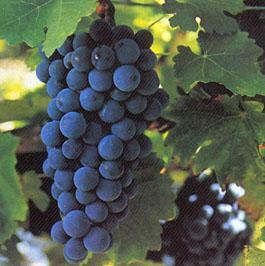 The grapes themselves are fairly large and they ripen in late September to early October. I was able to pick up a bottle of the 2009 Kavaklidere "Yakut" bottling from my friends at Bin Ends for about $13. In the glass, the wine had a fairly deep purple-ruby color. It had a moderately open nose of stewed red cherry and raspberry fruit that was a little flowery and had some spice to it. On the palate the wine was on the fuller side of medium with medium acidity and medium tannins that were nicely polished. There were raspberry fruit flavors with stewed berries, leather and a kind of stewed tomato taste as well. The balance wasn't great on this as the alcohol stuck out a bit and the wine came off a little hot. The fruit came off a little sweet, though the wine is definitely dry. I'm honestly not sure at all what a good comparison for this is. Maybe one of those big, over-ripe California Pinot Noirs is a good jumping off point but honestly this is a pretty unique wine. If it had cost much more than $15, I'd be a little more hesitant to recommend it but at its current price point, it's definitely a different experience that I think you'll get your money's worth from. This will be the 78th post on Fringe Wine, yet it is my first foray into Portugal. It's certainly not because Portugal lacks unusual or interesting grapes. On the contrary, Portugal may be second only to Italy in its wealth of indigenous grape varieties (have a quick look here). There are a few reasons why Portugal hasn't been covered here until now. The first major problem is simply availability. Most shops I go to have a perfunctory section on Portugal that has a small handful of wines, nearly all of which are either Vinho Verde or a Touriga Nacional/Tinta Roriz (Tempranillo, Aragonez, whatever you want to call it) based blend from the Douro or the Dão. The second major issue concerns the nature of most of the wines from Portugal. The Portuguese table wines that I am able to find are nearly always blends of several different grapes. I personally don't have anything against blends, but they can be difficult to write about, especially when many of the labels on Portuguese wines don't give you any indication of what grapes have been used. The wines may be (and often are) pretty good, but for my purposes on this blog, if I don't know what's in the bottle, then I don't have an angle and there's no story for me. I have been able to find a few bottles from Portugal made solely from a single unusual grape or mostly from one, so hopefully Portugal's presence will start to be a little more noticeable around here. One of the grapes that I had been really searching for was the Baga grape. When I get bored sometimes, I flip through Oz Clarke's Grapes and Wines to try to find new grapes to be on the the lookout for. Baga is near the beginning of the book (as you might imagine, since it's referenced alphabetically) so I tended to trip over his write-up of the grape fairly frequently. It turns out that it's one of those grapes that's more common than you may think and many people have probably had the grape before without being aware of it. Mateus, the sparkling rosé which, at one point in time was responsible for 40% of the total of Portuguese wine exports, is made from a fairly large proportion of Baga grapes (Sogrape, the parent company, is located in Barraida, Portugal, Baga's current home). Baga is actually well suited for this kind of mass-produced product as it has a tendency to very high yields and has fairly thick skins which make it resistant to a large number of fungal diseases (an important quality in the wet, Atlantic coastal region of Portugal). Baga has a tendency to searingly high acidity and tough tannins, so I'm guessing that the blending partners that Sogrape chooses to mix with Baga soften these as bit, as does the healthy wallop of sugar they dose the wine with. Baga is produced almost exclusively today in Barraida, which is just south of the Douro and is located between the Atlantic Ocean and the Dão (it's possible that the grape is actually native to the Dão, but its current home is definitely Barraida). Historically, Barraida was the source of dense, dark wines that were often used to stretch the Port supply either through deliberate mislabeling or through blending into Port wines so that the producers could keep up with the booming demand from England. In 1756, though, the prime minister of Portugal ordered that the vineyards of Barraida be torn up in order to protect the reputation of the Port region. In 1908, when the Portuguese government was laying the groundwork for what would eventually become their appellation system, the Barraida region was excluded and was only accepted in 1979 after heavy lobbying from locals. 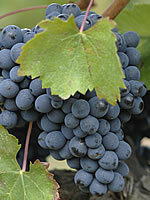 It is unusual among Portuguese regions in that a large majority of acreage in the region is devoted to a single grape. As mentioned above, Portugal is a land of blends and most regions have a large mixture of different grapes growing within their borders. Barraida's production is heavily based on the Baga grape and, thus, the region's vineyard area is dominated by Baga plantings to the tune of about 25,000 acres of land as of 2004. It took me a few months, but I was finally able to track down a bottle of the 2007 Casa de Saima Baga Reserva from my friends at the Wine Bottega for about $18. In the glass, the wine was a medium purple-ruby color. The nose was nicely aromatic with crushed blackberry, black cherry, leather, cola, and dark tobacco notes. There was also a bit of tart red currant there as well. On the palate, the wine was on the fuller side of medium with high acid and medium tannins. There were flavors of tart and black cherry, wild blackberries, cola and spicy leather. The wine had a kind of briary, brambly feel to it with nice dark berry fruits. The acid here was definitely high, but the tannins weren't too clunky and were integrated pretty well into the wine. This probably has the structure to hang around for a few more years and soften up a bit more, but it was drinking nicely when I opened it. The acid and tannins here demand food and I would think almost any kind of red meat would be nice here. If you've got an acidic sauce like a tomato sauce or something, so much the better. For under $20, this is a very nice wine that fans of other tannic, high acid wines like Nebbiolo or Xinomavro especially might want to check out. Even though the world of wine today is vast and varied, it certainly could have been more so. Over time, there have been innumerable grapes which have flashed into existence only to wink back out again. Some of them were probably justifiably ignored while others perhaps just suffered some bad luck. For the most part we'll never really know much about what we've missed. We can, however, marvel at some of the grapes that are still around today that just barely made it. Arneis happens to be one of those grapes. Arneis is not some Johnny-come-lately that popped up and nearly disappeared in a short period of time. 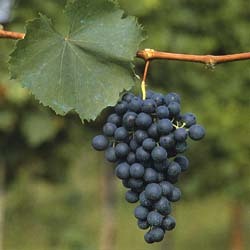 There are records of this grape that go all the way back to the 15th Century, when the grape was known as Renesium or Ornesio and was sometimes used in the production of sweet wines but most often was used as a softening agent when paired with Nebbiolo grapes in Barolo (and other areas of Piemonte to a lesser extent). It was such a big part of Barolo production for so long that it came to have the synonym Barolo Bianco. Since dry white wine production has not historically been very important in Piemonte, there was never much acreage devoted to Arneis since it was used almost exclusively as a very minor blending partner in the region's red wine production. The acreage really started to drop in the mid 20th Century, though, for a couple of reasons. First of all, many Barolo producers (and other producers making wine from Nebbiolo) decided that they no longer wanted or needed to use white grapes to try and soften Nebbiolo's sharp corners. Further, when the DOC and DOCG systems came online, it became mandatory for several of the Nebbiolo based wines of Piemonte (Barolo and Barbaresco most notably) to be made from 100% Nebbiolo. Blending grapes for these wines were no longer legally acceptable, so demand for them started to fall. Couple that with Arneis' reputation as a tricky grape to grow and vinify (its name translates as "little rascal" because it's susceptible to mildew, has naturally low acidity, ripens late, oxidizes easily, and is a low yielder to boot), and you've got all of the elements starting to come together for its disappearance. By the 1970's, the grape was being grown by only two producers and was in danger of extinction. And then the 1980's happened. Suddenly consumers wanted dry, still white wines and they wanted them badly. Many winemakers in Piemonte were left scrambling as the signature white wines of the region were sweet and fizzy. Bruno Giacosa and the Vietti winery began to make varietal wines from the little bits of Arneis that they had and it turned out that these wines were pretty good. By 1990, Burton Anderson in his Wine Atlas of Italy, was referring to Arneis as a "rising variety." Production quadrupled between 1989 and 1998 and as of 2005, vineyard acreage devoted to Arneis had surged beyond 1500 acres. The Roero region, whose sandy soils are particularly hospitable to Arneis, was elevated to DOCG status in 2005. I was able to pick up a bottle of the 2009 Vietti Roero Arneis for about $22. Arneis does not make wines for aging and most examples are stainless steel fermented and are intended to be drunk within three years of the vintage date, though the closer you can get, the better. In the glass, this wine was a pale silvery lemon color. The nose was very aromatic with white peach, ripe pear, apple and lemony citrus notes. On the palate, the wine was on the fuller side of medium with medium acidity. There were broad, peachy stone fruit flavors and ripe pear flavors with just a touch of lemon. The wine had a very nice, clean minerally finish. The profile here was broad, ripe fruit flavors that reminded me a bit of Viognier. I personally prefer my wines a little sharper than this, but it was very enjoyable and certainly very well made. This would go well with fish dishes or light pasta dishes, but I'd probably stay away from anything too rich or oily as it doesn't really have the acidity to cut through anything like that. Arneis is not really grown anywhere else in Italy besides Piemonte, but there are a few plantings here and there in California and Australia. I was able to find a bottle of the 2009 Enotria Arneis from Mendocino County, California, for about $15. The winery hasn't updated their spec sheet for this wine since the 2002 vintage, but it looks like this is about 90% Arneis with some Friulano and Pinot Blanc blended in. In the glass, the wine had a medium lemon color with glints of green. The nose was a little reserved with some green apple and lime peel aromas with a touch of ripe pear and white flowers. On the palate the wine was full bodied with acidity surprisingly on the higher side of medium. The palate was dominated by ripe, creamy pear fruit with some white peach and vanilla flavors. If you've ever had those pears that Harry and David sells that end up so ripe and juicy that you have to eat them with a spoon, then you've probably got a pretty good idea of what this wine tastes like. Some of the lots of this wine are put into new oak barrels and it's noticeable, but overall it's pretty well integrated. The acid here makes it a little more versatile and this would probably stand up to cream sauces or to oily fish.